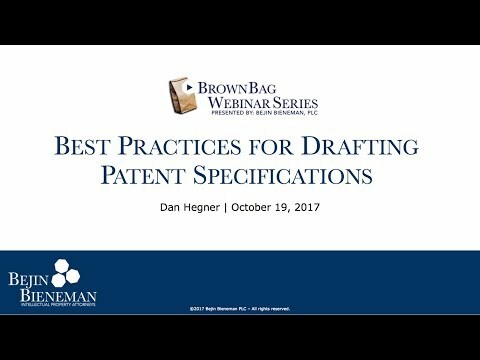 October's webinar is "Best Practices for Drafting Patent Specifications" and it is presented by Dan Hegner, an attorney of Bejin Bieneman PLC. Dan discusses specification drafting strategies and pitfalls in prosecution. A portion of the discussion is dedicated to §§ 101, 102, 103, and 112 issues in light of recent case law.